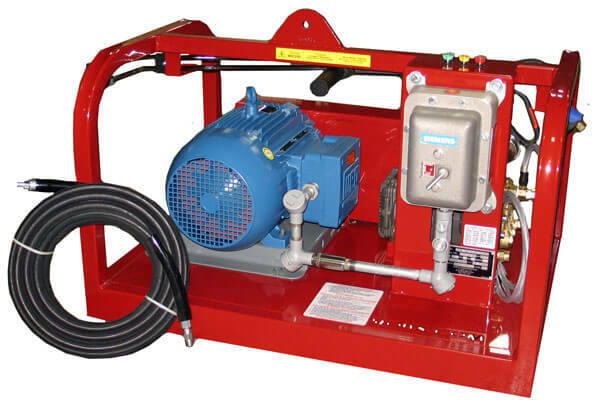 All models with the explosion proof option meet Class 1, Division 1 and 2, Group C and D.
These explosion proof pressure washers are ideal for indoor/outdoor use, and in potentially hazardous environments. Unlike fuel-fired washers, this line produces no fumes, exhaust or open flames. This makes these cleaners well-suited for indoor applications and enclosed spaces where air quality is a concern. Designed with a minimal number of controls and moving parts, making them simple to operate and easy to service. They make set-up easy, requiring only an electrical hookup and water supply. We use over-sized components that operate below full capacity, resulting in longer, trouble-free operation. These explosion proof pressure washers are great for jobs when hot water is not required, such as blasting away dirt, mud or dust. They are excellent for vehicle and grounds maintenance, as well as applications where cold water cleaning is preferred. Few units on the market equal the performance and durability of this line of cleaning equipment. Cold pressure washer with electric motors are the easiest to operate since they require no fossil fuels, no exhaust ventilation and very little maintenance. 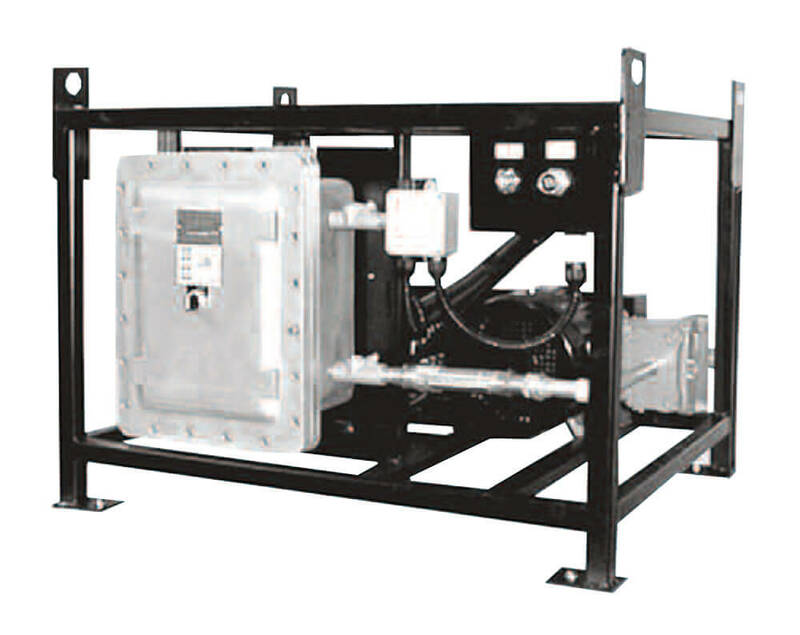 CSA approved Class 1, Division 1, Group C and D or Class 2 Division 1, Group E, F, and G. Models are also available with stainless steel frames for offshore applications. Call for details on these models. You can operate these explosion proof pressure washers continuously without a decrease in discharge water temperature (hot water models). They use an immersion heater design in which water is heated as it passes through a heating vessel. No preheating or recovery time is required which means hot water is available within minutes. This design assures a constant discharge water temperature so cleaning effectiveness is not compromised. 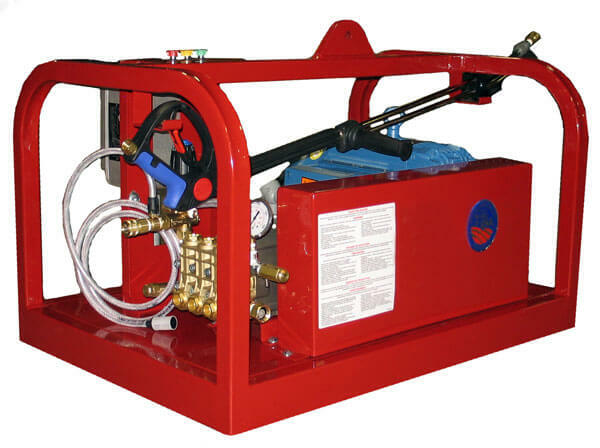 These explosion proof pressure washers produce high pressure hot water to blast away grime, encrusted dirt and oily films. High pressure hot water greatly increases the cleaning power of detergents and chemicals. Cold pressure washing is available for rinsing by turning off the heating element. Division 1 Concentrations of Gases or Vapors exist under normal operating conditions. Division 1 Explosive dusts exist under normal operating conditions. Division 2 Concentrations of Gases or Vapors are normally prevented. Group C Atmospheres such as Cyclopropane, Ethyl Ether, Ethylene, or gases or vapors equivalent in hazard. Note: Equipment must be special ordered with Group C motor. Group D Atmospheres such as Acetone, Alcohol, Ammonia, Benzene, Benzol, Butane, Gasoline, Hexane, Lacquer solvents, Naphtha, Natural Gas, Propane, or gases or vapors equivalent in hazard. Division 2 Explosive dusts are normally prevented. Group E Atmospheres containing metal dust and other combustible dusts including aluminum, magnesium, and their commercial alloys, and other metals of similarly hazardous characteristics. Note: Not appropriate for atmospheres containing Uranium, Thorium or Zirconium dust Group F Carbon black, charcoal, coal, or coke and similar materials. 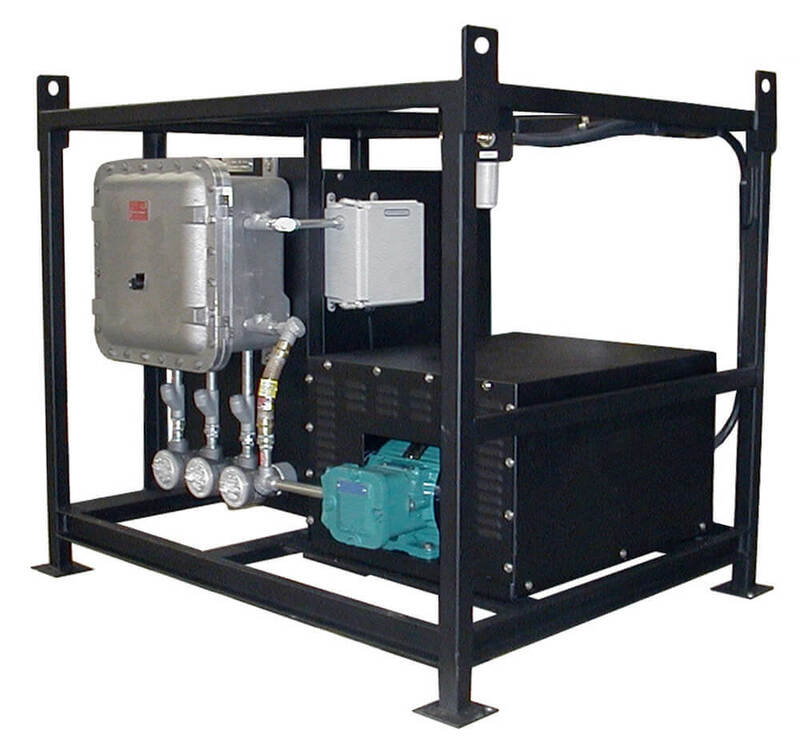 Oil rig platforms require explosion proof power washers for safety reasons. 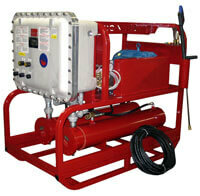 These explosion proof pressure washers are excellent for cleaning grease, oil, salt build-up in oil rig platforms. Explosion proof pressure washer can do the job for oil rig, oil refinery, and oil field cleaning effectively with maximum safety.